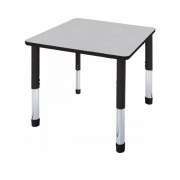 Leave a great impression with functional training tables from Hertz Furniture. 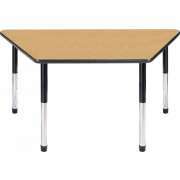 Our seminar tables are designed for your comfort and convenience. 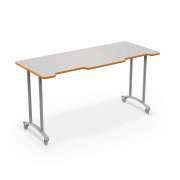 What kind of tables do you need to arrange your training room? Whether you just want to keep a few folding tables in storage, or you are looking to outfit a permanent training room, we have just the selection you need. 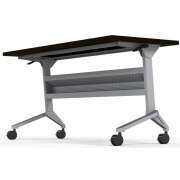 Our mobile training tables come from leading manufacturers including National Public Seating, OFM, Mayline and Balt. They are available in a variety of shapes, sizes and styles. 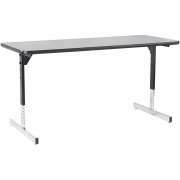 Should I get folding training tables? 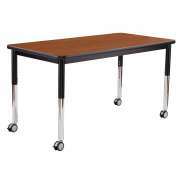 Folding tables are always convenient to have, whether you need them for company seminars or school professional days. 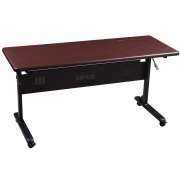 Blow-molded plastic training tables from NPS are super sturdy. They have an incredibly high weight capacity and will stand up to virtually anything you can throw at them. Regular spills and stains will literally wipe away and even stronger materials such as paints and chemicals are easily cleaned off with the use of a strong solvent. In addition to a folding design, there are other portable and space-saving options. 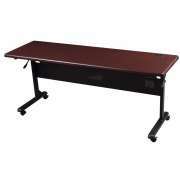 We offer many mobile training table models that can be rolled into place. There is also the option of flip-top tables which provide compact nesting to conserve room in your storage closet. If you are looking for something that folds compactly, we also have sturdy tables which are easily taken apart and put back together. 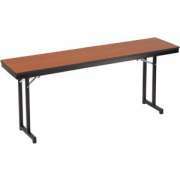 How can I connect training tables? Many of our models include built-in ganging so you can connect tables to form long straight rows. 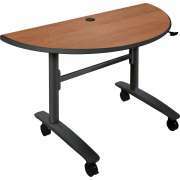 Balt flipper tables offer the added possibility of being connected to form a conference table. If you know that you will be using tables exclusively in rows, a modular design is a great option. 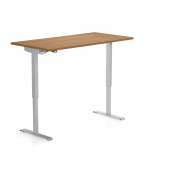 This budget-friendly choice provides extra leg room and saves space by eliminating unnecessary table legs. If your seminar tables will be in the middle of the room, or anywhere other than against a wall, you may want to consider a design that includes a modesty panel. Some of our models include perforated modesty panels which maintain great ventilation. For the utmost in convenience, there are even models that feature built-in wire-management trays in the modesty panel for easy cable routing. 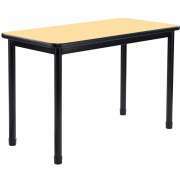 Do I need computer training tables? In the age of technology, many people bring laptop computers, netbooks or tablets to conferences for note taking or other purposes. 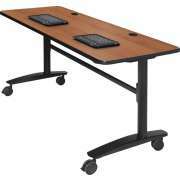 You can demonstrate your institution&apos;s consideration by providing computer-friendly seminar tables. Cable-management grommets enable session participants to route wires to power sources without cluttering work surfaces. 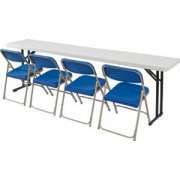 This is exceptionally helpful when people are sharing table space and need room for other materials such as writing implements or informational literature. 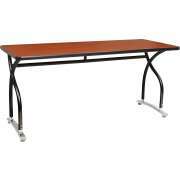 What should I consider when getting training room tables? 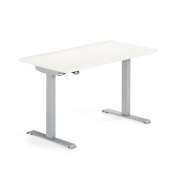 Leg design has the potential to greatly impact the comfort of your seminar tables. We offer the classic four-legged design which provides stability. T-legs are another sturdy option that offer an increased amount of legroom. 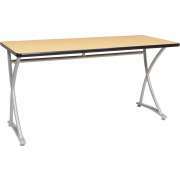 Because seminar tables are designed to have people seated on only one side, cantilever legs are a particularly good option. This convenient configuration offers maximum legroom, and therefore maximum comfort. When you are purchasing a table, be sure to pay attention to leg and tabletop materials. Different leg materials offer varying degrees of durability. Tabletop material impacts the appearance of your furniture and how long it will last. If you choose a less durable material, it is more likely to show wear and tear over time. A durable tabletop is a worthwhile investment because it will maintain a sleek professional look through years of use. The right seminar furniture can go a long way toward impressing clients and employees. A great mobile training table from Hertz Furniture offers the functional professional style you need to take your company or institution to the next level. We know it can be daunting to narrow down your optimal choice with so many great options, and that is why the Hertz Design Center is here to offer you free consultations that will help you choose the best tables. Many of our models come with Hertz Furniture&apos;s complimentary extended warranty for years of worry-free use and enjoyment.